How A/B Split Testing Help you on Android Mobile Application? 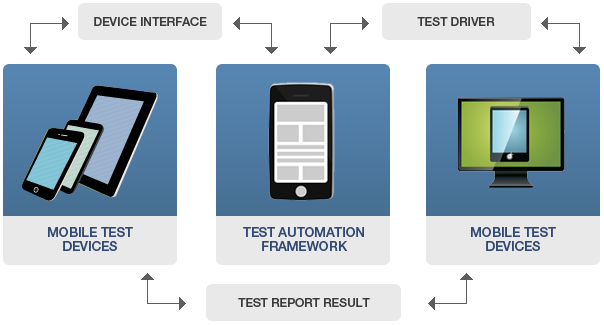 Mobile App A/B testing is all about testing a mobile app that has been developed. As the name suggests it is to do with testing, but not in the conventional way. This is more to do with acceptance testing than testing the correctness of the application. The way it works is that several users are selected to test the application. These users are given a different version of the application to test. The goals for each version are set prior to the test. At the end of the test the version that best meets the goals is selected. It is easier to explain this with the help of an example. For example, two different versions of an app are created. One may force users for mobile purchases for extra levels and the other may be based on clicking adverts. The tests are run by giving it to two different set of users and the one with the most suitable results is selected. – The A/B testing method is a good way to test different variations of a mobile application. – It helps one gain a broader view about the application and learn from the experiences of the users and help gain confidence in launching the application with the best possible set of features and configuration. – This form of testing makes it possible to collect potential statistics on the performance prior to launch. This can be used in several ways like to gain funding or to gain approval or acceptance. – The mobile A/B testing also helps with constant improvement of the mobile application. Although this is usually done prior to launch it can also be done to improve it or optimize the app for the next launch. – A very popular testing platform called Optimizely. This platform allows to test the mobile app and at the same time also update the application on the Apple App Store. Alakmalak is a web development firm that has developed over 2000 websites for clients from over 20 counties around the world. Alakmalak has a big team of developers who are experts in several technologies. Besides working on websites, they also develop mobile applications and also help with digital marketing and SEO. Alakmalak has a dedicated team of mobile developers and hence if need to hire Android App developers for your next mobile application project, you can trust Alakmalak to handle it well. How A/B Testing Help in Android Mobile Application? How to use Language Override tools?